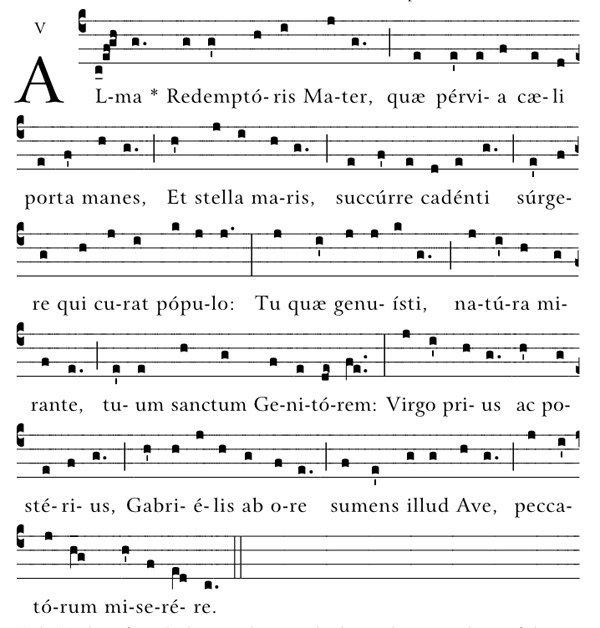 One of four Marian antiphons, Alma Redemptoris Mater is normally sung at vespers during the season of Advent. 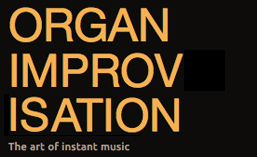 It is classified as being in the Lydian mode. Find a list of other chant themes here. Posted in Themes. Tagged Advent, Alma Redemptoris Mater, chant, Latin, Marian. 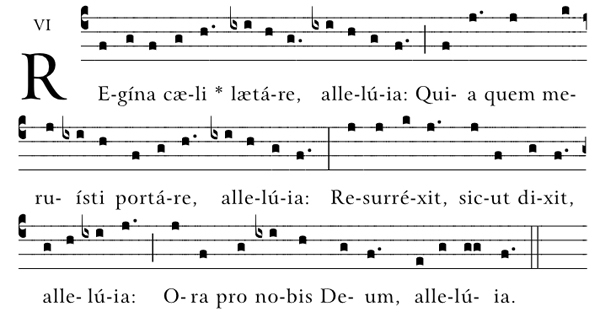 One of four Marian Antiphons sung at vespers, this chant is normally used during the season of Easter. See a list of other chant themes here. Posted in Themes. Tagged chant, Easter, Latin, Marian, Regina Caeli.